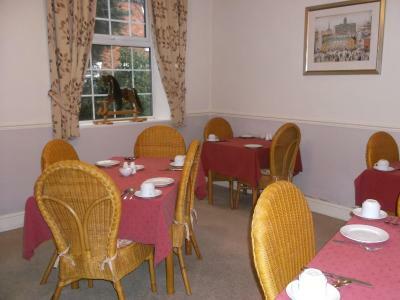 Lock in a great price for Acorn Lodge Guest House – rated 9.2 by recent guests! scrambled eggs creamy just as I like. Proprietor pleasant and cheerful from opening the door until we left. Loved the bedroom ceiling plasterwork! Triple room great with 3 single beds very comfy. Breakfast was great good quality and plentiful. Hosting very good. Great service, friendly but not over friendly owner. Perfect night away! I highly recommend Acorn Lodge. Breakfast was delicious, lodging was comfortable and quiet. They went above and beyond to make my stay there as comfortable as possible. Les, the owner was exceptionally friendly and nothing was too much trouble. Fast check in and excellent breakfast. Good parking facilities. Would highly recommend. Les was able to provide a gluten free breakfast. Easy to find. Car park. Close to town centre. Acorn Lodge Guest House This rating is a reflection of how the property compares to the industry standard when it comes to price, facilities and services available. It's based on a self-evaluation by the property. Use this rating to help choose your stay! 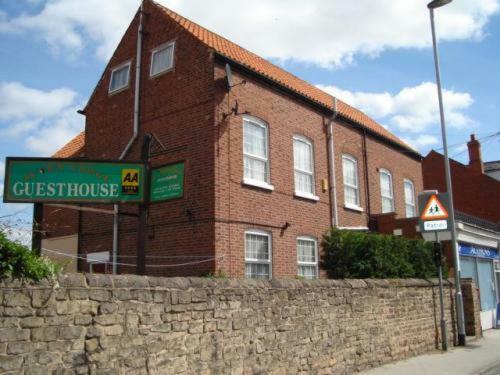 A 5-minute walk from central Worksop, the AA 4 -star Acorn Lodge Guest House features spacious rooms with free Wi-Fi and Freeview digital TV. There is ample free secure parking. Near to beautiful countryside, Acorn Lodge is close to Sherwood Forest. 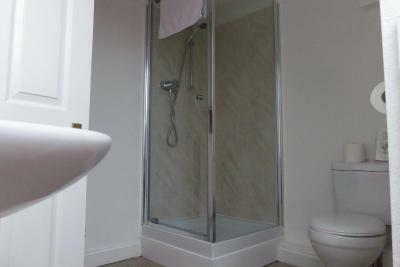 In the Dukeries area, Acorn Lodge offers rooms with private bathrooms, work desks and tea/coffee facilities. 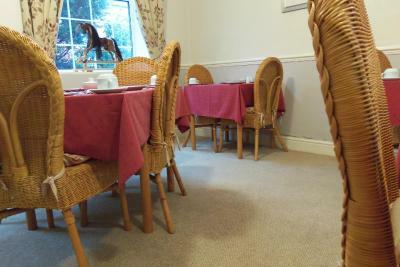 Friendly and welcoming, Acorn Guest House provides a full English breakfast made with fresh produce. 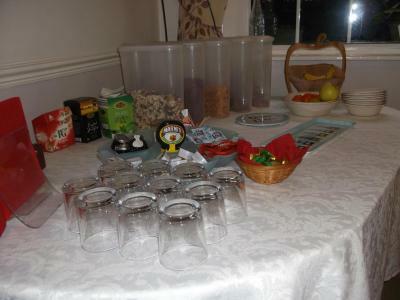 A continental breakfast is also available. Central Worksop features an old open-air market, along with shops, bars and restaurants. This property is also rated for the best value in Worksop! Guests are getting more for their money when compared to other properties in this city. When would you like to stay at Acorn Lodge Guest House? 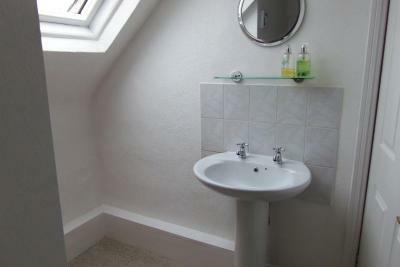 This family room offers 1 single bed and 1 double bed. House Rules Acorn Lodge Guest House takes special requests – add in the next step! Acorn Lodge Guest House accepts these cards and reserves the right to temporarily hold an amount prior to arrival. There is an additional cost of 2% for payments made by credit card. Please contact the guesthouse in advance, in order to inform them of your estimated time of arrival. You can contact the guest house by telephone or via email, using the contact details supplied in your confirmation email. Please inform Acorn Lodge Guest House of your expected arrival time in advance. You can use the Special Requests box when booking, or contact the property directly using the contact details in your confirmation. View but can't do anything about that, didn't spoil the stay. You can hear noise from other rooms but it's not overly invasive. The air freshener was too strong. There’s nothing that I didn’t like about the property. Only a brief one night stay which was comfortable and suited our needs. Even with the double glazed windows, traffic noise from the main road was noticeable. I'd suggest a room at the back of the house if you can get one. The shower was perfectly functional, but not very powerful. Very friendly welcome and good breakfast. Clean room, comfy bed. Good parking on site and centrally located so easy to get dinner in town. The guest house was excellent value and had everything that I needed for my stay. I could come and go as I pleased and was made very welcome.